Kicked off by winning the World Professional Championship in 1982, Nack Ballard has countless titles and victories the world over, including his crushing defeat of the top computer in a famous 300-game match in 1999. Starting in 2001, Nack had a six-year reign as #1 Giant in the world (nobody else has achieved #1 more than twice). From the inception of the Giants list and through its first two decades, he has averaged #3 in the world! 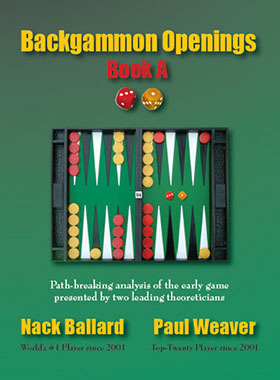 Nack gives seminars, commentaries, and lessons (Take Lessons), and authors a book series (info at Backgammon Openings and Buy the New Book). One of the best Scrabble® players in the world, Nack maintained a rating over 2000 until he retired in 1993. He is currently the top Color Lines player in the world and one of the top Caucasian Go players (5-dan). Nack invented the variant Nackgammon and the Slot Rule (a.k.a. slotgammon). He also created Nactation, a shorthand notation for opening backgammon sequences and positions, and many pipcount systems, the most popular of which are Naccel and the Kangaroo count. 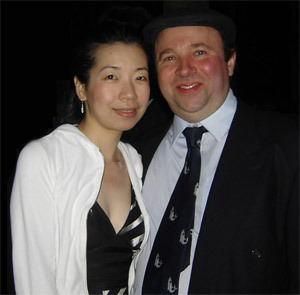 Nack, an enthusiastic pianist, resides in the San Francisco Bay area with his lovely wife, Hsiao-Yee.